WHO IS ELIJAH MIKAELSON? 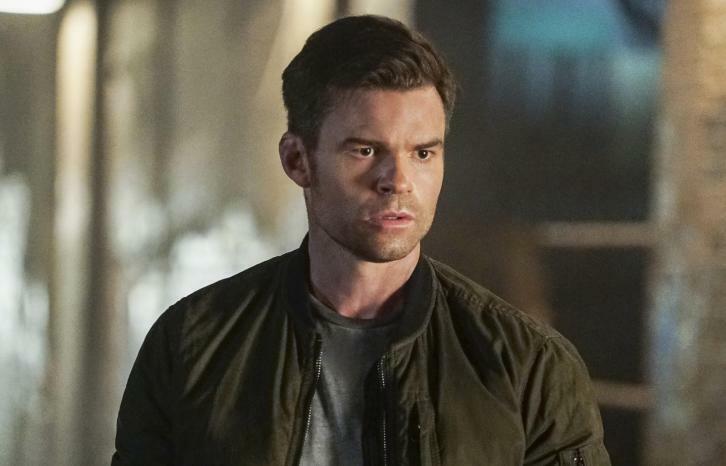 — In the immediate aftermath of having his memory erased by Marcel (Charles Michael Davis), Elijah (Daniel Gillies) awakens to find himself in the middle of nowhere and without a clue as to who he is. Unable to control his instinctive vampire ways, Elijah encounters Antoinette (guest star Jaime Murray), a beautiful and free-spirited vampire, who helps him navigate his new life. However, a run-in with Klaus (Joseph Morgan) threatens to destroy the peace he’s finally found. Joseph Morgan directed the episode written by K.C. Perry & Michelle Paradise (#503). Original airdate 5/2/2018.